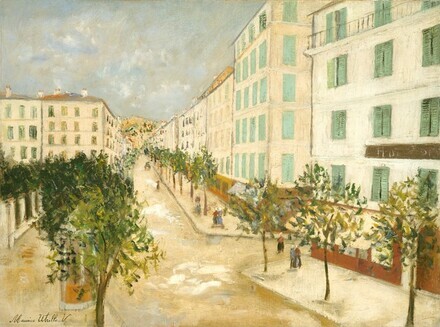 (Carroll Carstairs Gallery, New York); sold 26 January 1949 to Mrs. Ailsa Mellon Bruce [1901-1969], New York; bequest 1970 to NGA. Carstairs invoice dated 26 January 1949, copy in NGA curatorial files. Extended loan for use by Secretary William Bennett, U.S. Department of Education, Washington, D.C., 1985-1988. Extended loan for use by Secretary Lauro Cavazos, U.S. Department of Education, Washington, D.C., 1988-1991. Extended loan for use by Secretary Lamar Alexander, U.S. Department of Education, Washington, D.C., 1991-1993. Obras Maestras de la National Gallery of Art de Washington, Museo Nacional de Antropología, Mexico City, 1996-1997, unnumbered catalogue, 174-175, color repro. European Paintings: An Illustrated Summary Catalogue. National Gallery of Art, Washington, 1975: 358, repro. Walker, John. National Gallery of Art, Washington. Rev. ed. New York, 1984: 590, no. 913, color repro. European Paintings: An Illustrated Catalogue. National Gallery of Art, Washington, 1985: 417, repro.